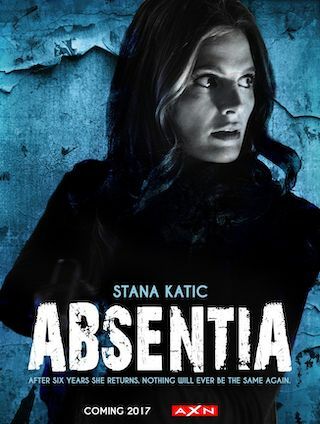 Absentia is a Polish 60 minute scripted thriller television series, which kicked off on September 25, 2017, on AXN and is broadcast every Monday at 22:00. The show is currently in its 2nd season. AXN has officially confirmed the renewal of Absentia for Season 3. The exact release date is yet to be announced so far. Sign up to track it down. Amazon today announced that it has picked up binge-worthy thriller Absentia for a second season, to debut in 2019. In season one, Emily disappeared without a trace and was declared dead after hunting one of Boston's most notorious serial killers. Six years later, Emily was found in a cabin in the woods, barely alive, and with no memory of the years she was missing. Returning home to learn her husband had remarried and her son was being raised by another woman, she soon found herself implicated in a new series of murders. In season two, after tracking down and killing her abductor, Emily struggles for a tenuous new normal with son Flynn and ex-husband Nick. But her obsessive investigation into the questions that haunt her uncovers a serial killer and a spiraling conspiracy that threatens more than just her family.